When it comes to sightseeing in Seattle, everyone knows about the fish tossing at Pike Place Market and the Space Needle. Here are a few of the lesser known gems in the Emerald City. These are three places to go if you want to get a real Seattle experience. The Washington State ferry system is one of the largest and safest in the world. Visitors to Seattle should take advantage of the ferry ride to escape the hustle and bustle of the city and spend a tranquil afternoon on Bainbridge Island. You can either walk on the ferry and explore downtown Winslow on foot. This walkable community features coffee shops, restaurants, art galleries, and plenty of window shopping. You may want to rent a kayak or simply walk the docks. If you choose to take a car on the ferry, it will allow you to discover some of the many parks on the island. I'd suggest a visit to Fort Ward and/or Fay Bainbridge parks, which are well worth the trip. One of the best parts of this mini island getaway is taking in the Seattle skyline on your way. Once onboard, head to the upper deck to enjoy the views. Be sure to bring a jacket, because even on sunny summer afternoons it gets windy and can be chilly outside. I recommend heading over on a ferry in the morning/early afternoon and returning on an evening sailing which allows you to see the city lights to end your day. While most people have an image in their minds of the Space Needle standing over Seattle, it's not actually true. The iconic Space Needle, a relic from the 1962 World's Fair, stands at 605 ft. with an observation deck at 520 ft. and a restaurant at 500 ft. Meanwhile, in the heart of downtown's central business district stands the tallest building in Washington State and the second highest on the West Coast. The Columbia Center stands out in the Seattle skyline at just over 930ft. Side by side, it would tower over the Space Needle. The building was originally designed to be more than 1,000 ft., however, the FAA grounded those plans given its proximity to Sea-Tac Airport. There are 76 floors of Class A office space with an observation area on the 73rd floor. The top two stories are a private club that includes a restuarant, bar, library, and meeting rooms. One of the highlights of the private club is the women's restroom. Yes, that's right - the women's restrooms! The stalls are set up so that ladies peer out the window while taking care of business. The building is so tall that you have to switch elevators midway before continuing up. This is your opportunity to check out an incredible free view and enjoy another landmark in Seattle - Starbucks coffee. There is a cafe on the 40th floor, so grab a drink and take in the views over the Puget Sound, Seattle, and Lake Washington. 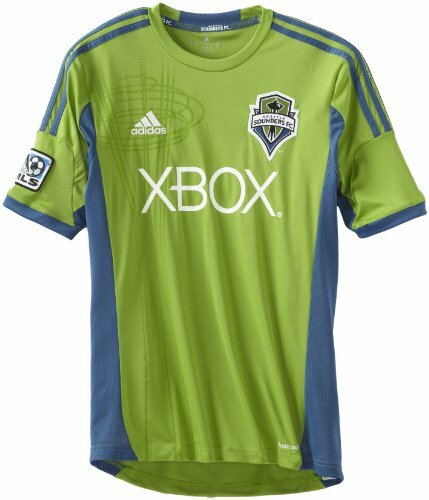 One of the most electrifying sports venues in the world is a Seattle Sounders soccer game. While the MLS franchise is relatively new, the Sounders legacy has been around for decades with strong rivalries between teams from Portland and Vancouver. The club has really connected with the community and in turn the community has really embraced the team. There is a rowdy fan section behind the South End goal, which has an active part in leading cheers and chants throughout the game and even as part of the pre-game ritual. It's something you'll have to be a part of to truly understand. And don't forget to come early for the March to the Match tradition. There's the Soundwave band, you get some insider info from coaches/players ahead of the game, and plenty of singing and fun as thousands of fans walk a few blocks from Pioneer Square area to the stadium. This is part of the event that you do not want to miss. Also, don't expect to sit for large portions of the game. Many fans only give their legs and vocal cords a break during the halftime intermission.